Mixmag recently launched its Label Of The Decade Poll, asking readers to name the most influential record label of the last 10 years. The last 10 years have been some of the best ever for dance and electronic music, where local sounds like dubstep, footwork, French electro, Gqom, nu disco and the LA beat scene possibly turned into global phenomena, changing the face the culture forever. Then there are the countless sub genres – such as UK funky, post-dubstep, nu rave, bass-house, lo-fi, deconstructed club – which, although sometimes short lived, have had a major influence from the underground up. Then there’s the explosions of house, techno and EDM and it’s clear it’s been a decade that’s been powered by a surge of creativity. Countless labels have been making sense of this fervent period. They are responsible for nurturing artists, curating lots of tracks and possibly releasing era-defining records. They are integral to the industry and push the culture forward every single day. Some imprints in this poll started long before 2007, others have been going for the whole decade and there are many that have been founded fairly recently (but are no less influential). All of them have contributed to a truly groundbreaking decade. That’s why Mixmag are asking their readers to vote for their favourite Label Of The Decade, having their input into which imprint was most integral to one of the finest periods in dance and electronic music history. 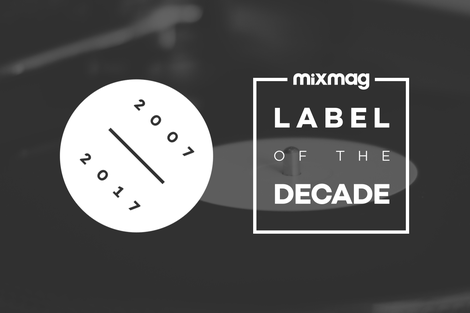 The poll is live at Mixmag.net/labelofthedecade and will be celebrated with bespoke content across Mixmag.net and a series of label live streams from The Lab in LDN, NYC and LA.